Follow for follow. Mama to an incredible baby girl. An addict on huge savings and free stuff here. Will gladly give my honest opinion on products. So very pleased with this. My baby seems to always have a little something in her nose and she doesn’t let me use the boogie sucker anymore. So I figured this may be a good thing to try. This is exactly what I needed! I am so happy, she actually lets me clean her nose now thanks to this little tool. I very highly recommend this for cleaning nose. Not too sure with the ears cause just regular q-tips work for us. This stuff makes all other mousse that is supposed to give you volume to shame. It is incredible and makes your hair look incredible. And has an awesome smell to it that lasts. Very nice! I love the smell of it- minty like the regular toothpaste. Fun to use and look back at yourself in the mirror with a black mouth. Does its job I feel it cleans as promised. Must give it a 5 star since it is aluminum and alcohol free! That fact alone makes it better than any other deodorant! Smells so lovely! And doesn’t leave marks on clothes. I love it! Already recommended it to so many people. I do like it a lot, definitely easy to apply and keeps my eyebrows staying nice and put. The only reason I am not giving a 5 star is cause sadly it doesn’t take away the shine. Comes back too quickly. Even though I use primer and foundation before applying this of course. The way it is made is super cute how it literally looks like it’s filled with droplets. I use the discontinued color harmony. It is so beautiful and the only color that is so natural and perfect. It goes so perfectly with my light skin completion. Very astonishing eye shadow. 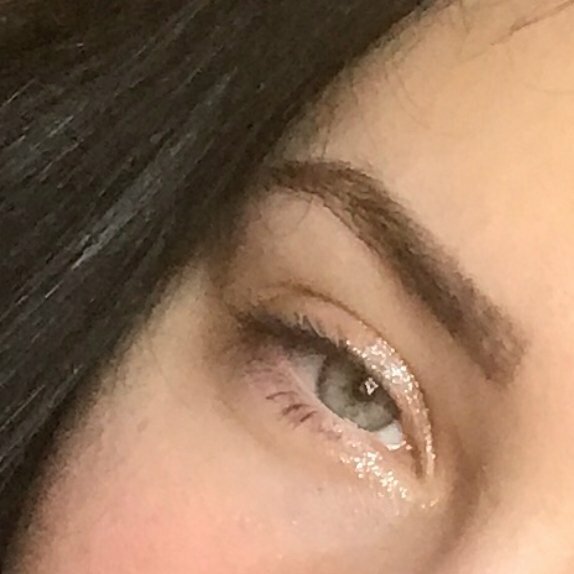 I always loved urban decay moon dust space cowboy for its subtle yet so noticeable glitter. This mix of colors is so gorgeous. I love how they make my grey/green eye color pop. It’s very simple but so lovely! This brush definitely gets a ⭐️⭐️⭐️⭐️⭐️! I was so intrigued to try this after coming across all the reviews. I really hoped that it would work for me just as perfectly as for others and it did! It really gives off an airbrushed look. Blends in the makeup amazingly. Feels so nice on the skin since it’s so extremely soft. Feels just like my chinchilla hehe..